The combined aerobic processes are designed to sustain shock loads in activated sludge, aerobic contactor, and trickling filter (biofilter) processes. There are several possible combinations of these aerobic processes: activated biofilter process, trickling filter solids-contact process, biofilter activated-sludge process, and trickling filter-activated sludge process. The activated biofilter process is a trickling filter with recycling of secondary sludge back to the trickling-filter to create a higher level of BOD5 removal through a combined attached and suspended microbial growth. High BOD5 loading in wastewater streams such as those found in food processing operations can be amply handled. Design loading of BOD5 normally ranges from 3.21 to 4.0 kg/m3-day for 60%-65% BOD5 removal in the filter (Arora and Umphres, 1987). The basic trickling-filter solids-contact process consists of a trickling filter, an aerobic contact tank, and a final clarifier. The trickling filter does the most BOD5 removal (about 65%—85% according to Parker 1999). The biosolids formed on the filter are sloughed off and concentrated through sludge recirculation in the contact tank. In the contact tank, the suspended solids are aerated for less than 1 hour, causing flocculation of the solids, thus further removing the BOD5. The overall performance of a TF/SC process is determined by calculating the BOD5 removal from the trickling filter and the aerobic contact tank (Parker and Bratby, 2001). Anaerobic treatment is used in both biological wastewater treatment and sludge digestion. Anaerobic treatment using contact anaerobic systems is an effective treatment method for treating high strength wastewater containing a large amount of organic materials (high BOD5). Food and agricultural wastewater sometimes falls into this category of wastewater streams (such as blood water or stick-water). For example, meatpacking and fish-processing wastewater are treated successfully with anaerobic treatment processes. In the pilot scale studies of anaerobic treatment of fish-processing wastewaters, the removal rates of solids were 75%-80% with loads ranging from 3 to 4 kg COD/m3 (day of digester (Balslev-Olsen et al., 1990; Mendez et al., 1990). The microbiology of the anaerobic treatment involves facultative and anaerobic microorganisms, which, in the absence of oxygen, convert organic materials into gaseous methane and carbon dioxide. The anaerobic process consists of two distinct stages: acid fermentation and methane fermentation. The anaerobic process starts with degrading insoluble complex organic materials such as proteins into soluble organic materials that, in turn, are consumed by acid-producing bacteria to yield volatile fatty acids, along with CO2 an H2. The methane-producing bacteria devour precedent biochemical products to produce methane and carbon dioxide. Fig. 4.7 summarizes the reactions and intermediates involved in an anaerobic treatment. • Biomass produced with anaerobic processes is much lower, thus reducing costs associated with sludge treatment and management. • Treatment of high-strength, organic-rich wastewater is better with anaerobic processes because anaerobic processes are not limited by the oxygen transfer rate (usually the bottleneck of aerobic processes). Figure 4.7. A diagram of the reactions and intermediates involved in an anaerobic treatment. • Higher thermal energy is required to maintain temperature needed for anaerobic processes; however, this problem can be overcome with the possible utilization of methane from the processes. • Higher holding time (or detention time) is required for completing the processes. • Undesirable odors are commonly associated with anaerobic processes due to the formation of H2S and mercaptans; certain food wastewater sources are rich in S and N compounds, which could aggravate the odor problem. • Sludge from anaerobic processes is harder to treat, thus requiring extra money/time/equipment to handle it. • Anaerobic systems are difficult to operate and subject to negative effect of "shock loading." Table 4.2. Common process and performance data for anaerobic processes used for the treatment of industrial wastewaters (adapted from Metcalf and Eddy, Inc., 1991). performance data for anaerobic contact processes are summarized in Table 4.2.
reactor and its schematic diagram is shown in Fig. 4.8. As its name indicates, the wastewater flows in from the bottom of the tank upward and active anaerobic bacteria convert the waste into methane and carbon dioxide. A sludge blanket is developed in the lower portion of the tank and the component particles in the sludge blanket are aggregated to resist the hydraulic shear of the upwardly flowing wastewater and prevent the blanket from being carried over and out of the tank. 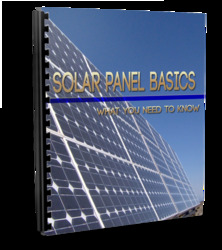 In general, the UASB process is capable of achieving high removing efficiency at high COD loadings. Lettinga et al. (1980) conducted anaerobic treatment of sugar beet wastewater using UASB systems at different scales. The experiments carried out in a 6 m3 pilot-plant had shown to be capable of handling organic space loads of 15-40 kg COD/m3-day at 3-8 hr liquid detention times. In the first 200 m3 full-scale plant of the UASB concept, organic loadings of up to 16 kg COD-m~3-day could be treated satisfactorily at a detention time of 4 hr. The performance of USAB reactors was limited by the capability of a gas-liquid separator to withhold the sludge in the reactors. The design of a UASB reactor needs to ensure adequate sludge zone as most sludge resides there, and sometimes baffles are added to the locations above the sludge blanket to assist to separate biogas, sludge, and liquid. Figure 4.8. 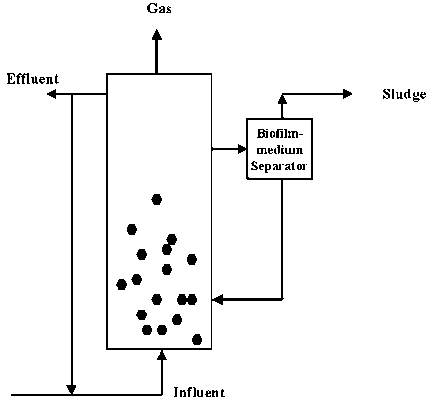 A schematic diagram of an upflow anaerobic sludge-blanket process. Figure 4.9. 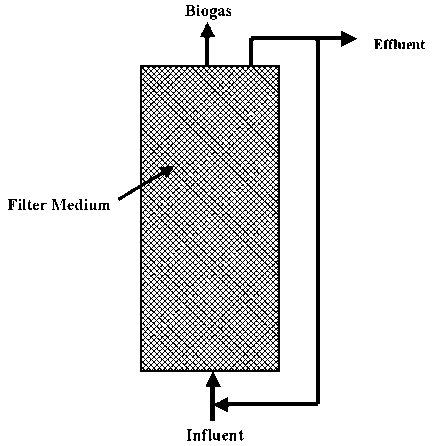 A schematic diagram of an upflow mode anaerobic filter (AF). medium bed is subject to the bed-clogging due to accumulation of biological and inorganic solids; however, periodical backwashing will alleviate the clogging problem and associated head-loss. 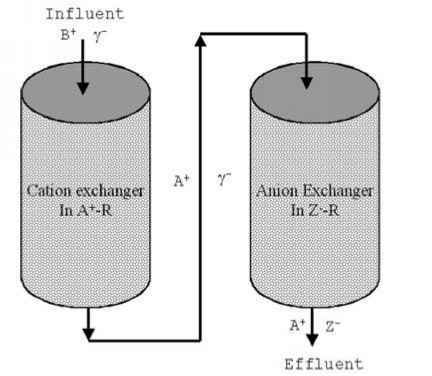 The anaerobic fluidized bed reactor is an expanded-bed reactor (Fig. 4.10) that is filled with a solid medium used for hosting anaerobic bacteria. The waste-water is fed from the bottom of the reactor and flows upward through the medium-containing column of the reactor that is able to retain the media in the suspension from drag forces exerted by the upflowing wastewater stream. 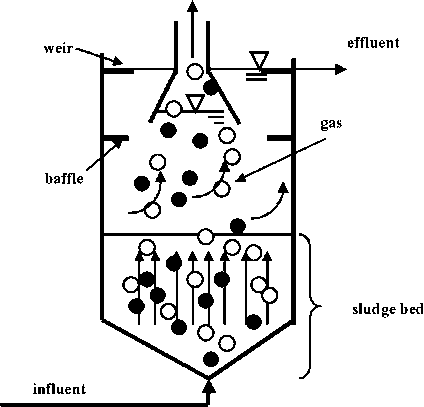 The effluent from the reactor is recycled to dilute the influent and to maintain an adequate flow rate so that the bed remains expanded (fluidized). Due to the expansion of the medium bed, a substantially larger amount of biomass can be maintained without incurring the bed clogging and subsequent head-loss than those from anaerobic filter reactors. Reports of biomass concentration of 15,000 to 40,000 mg/L in AFBR reactors are common in the literature (Metcalf and Eddy, Inc., 1991). Because of high flow rate maintained in the AFBR reactors, especially for treating high-strength food wastewater, AFBR reactors can be designed to behave like an ideal completely mixed reactor, a CSTR. The choice of medium in AFBR needs to be further explained; the ideal medium must be light (easily fluidized), small (easily fluidized and high surface:volume ratio), porous with large voids (more space for biological and inert solids), inert (to chemical and biological reactions), and resistant (to abrasion and erosion). Silica sand, anthracite coal, reticulated polyester foam, and activated carbon are common media used in AFBR reactors. Global warming is a huge problem which will significantly affect every country in the world. Many people all over the world are trying to do whatever they can to help combat the effects of global warming. One of the ways that people can fight global warming is to reduce their dependence on non-renewable energy sources like oil and petroleum based products.